Life is one big balancing act—at least, that’s what you’ve been told from a young age. Interestingly enough, this notion applies to more than just your own life. Truth be told, Mother Nature is most beautiful in a harmonious balance. This theory, proven through some of Topaz’s most successful landscape projects, is achieved by strategically arranging every plant and flower throughout your property. At Topaz Design, we are masters of our craft. With our keen eye and unique designs, we can create an ideal balance within your natural garden. Keeping your wishes and dislikes at the forefront of every decision, we design for you a new landscape that’s tailored exclusively to your preferences. 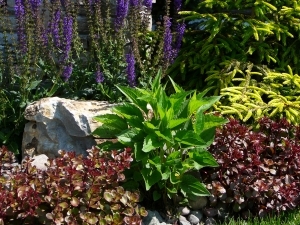 Our unique designs incorporate a generous assortment of plant materials that are hand selected by the owner himself for each landscape project. Honing in on the most precise details and technicalities, we can create a breathtaking natural garden that is balanced in color, texture and lifecycle. We can also provide your garden with an effective irrigation system that will nurture your plants and flowers with the water that they need to thrive. Whether you are thinking of renovating your front landscape, backyard landscape or adding backyard enhancements, such as privacy screenings or a poolscape, our landscape designers’ expertise continually exceeds clients’ expectations. To begin your natural garden and front yard makeover, fill out our online form today and the Topaz team will be in touch as soon as possible. Our dedication, quality & commitment shines through every project we create.